Traditional teachings on the "seven deadly sins," as documented by St. Augustine and Thomas Aquinas, offer a strong foundation for knowing which virtues to cultivate and which vices to avoid. In Glittering Vices Rebecca Konyndyk DeYoung notes that contemporary culture has too often trivialized and unfortunately dismissed these cardinal vices, treating them apart from any serious or moral spiritual implication. 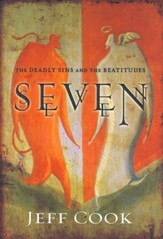 By providing a brief history of the vices and offering an informative chapter on each of the seven, DeYoung provides readers with a practical understanding of how these "deadly sins" shape our culture and why it is that pride, gluttony, greed, sloth, and others are incredibly destructive. This eye-opening book, will allow readers to correctly identify and eliminate deeply rooted patterns of sin at work in their lives. Contemporary culture trivializes the "seven deadly sins," or vices, as if they have no serious moral or spiritual implications. 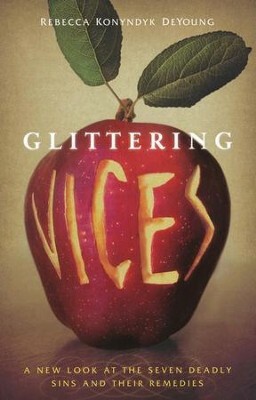 Glittering Vices clears this misconception by exploring the traditional meanings of gluttony, sloth, lust, and others. 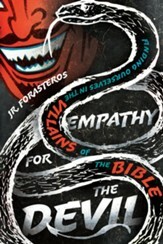 It offers a brief history of how the vices were compiled and an eye-opening explication of how each sin manifests itself in various destructive behaviors. Readers gain practical understanding of how the vices shape our culture today and how to correctly identify and eliminate the deeply rooted patterns of sin that are work in their own lives. This accessible book is essential for any reader interested in spiritual disciplines and character formation. Rebecca Konyndyk DeYoung (PhD, University of Notre Dame) is professor of philosophy at Calvin College in Grand Rapids, Michigan. She wrote the "seven deadly sins" entry for the Encyclopedia of Christianity and collaborated with two of her seminary students to develop a high school/college curriculum on the subject. Rebecca Konyndyk DeYoung (PhD, University of Notre Dame) is associate professor of philosophy at Calvin College in Grand Rapids, Michigan. She wrote the "seven deadly sins" entry for the Encyclopedia of Christianity and collaborated with two of her seminary students to develop a high school/college curriculum on the subject. "Moral formation" and "character development" are popular buzzwords, but they are ineffective concepts without an understanding of what good character is and how to cultivate it. The traditional teachings on the "seven deadly sins," or capital vices, compiled by saints such as Augustine, Pope Gregory I, and Aquinas, offer a strong foundation for knowing which virtues to cultivate and which vices to avoid. Unfortunately, contemporary culture trivializes, psychologizes, or even dismisses the seven vices as though they have no serious moral or spiritual implications. Glittering Vices clears that misconception with a brief history of the vices and an informative chapter on each "deadly sin." Readers gain practical understanding of how the vices shape our culture and why gluttony, lust, sloth and others are, in fact, incredibly destructive. Through this eye-opening book, readers will be able to correctly identify and eliminate the deeply rooted patterns of sin that are at work in their lives. Winsome and wise, Glittering Vices is intriguing for any reader interested in the spiritual disciplines and character formation. 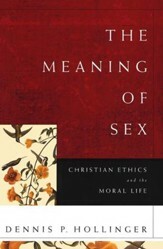 Its rich content makes it useful in undergraduate and seminary ethics courses as well. 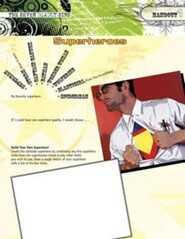 I'm the author/artist and I want to review Glittering Vices: A New Look at the Seven Deadly Sins and Their Remedies.